***New Price!! 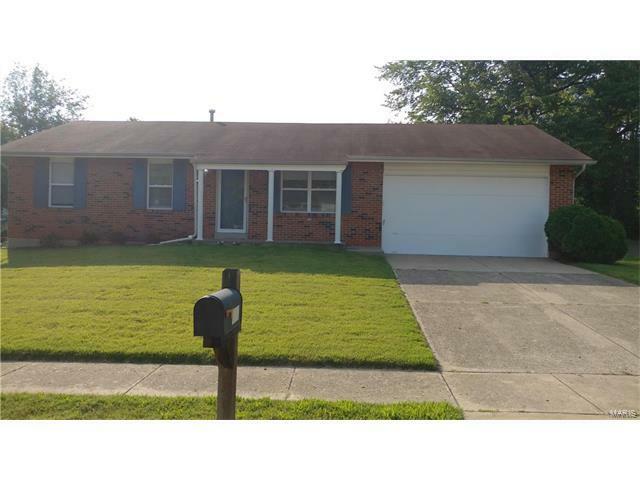 *** This is a lovely Ranch 3 bed, 2 bath house located in Florissant MO. This house has many updates and now priced at $112,900! There are newer windows and siding (2017). Nice bathrooms and an updated kitchen with new stainless steel appliances you'll be sure to love. This house has been freshly painted and has new hardwood laminate flooring throughout the entire main floor (excluding bathrooms). The basement is unfinished but has an open concept that is ready for you to put your touch on it. The washer and dryer are like new and there is a newer water heater (2017) included in the basement as well. A bonus for this home is that it has a 2 car attached garage and is equipped with a newer automatic opener (2017). The backyard would surely be one of your favorites as it is spacious and looks great! This house would make a terrific family home and is only minutes from Koch Park, the JFK Community Center, restaurants, and schools. Located at 416 Springwood Place, take Charbonier Rd down to Springwood Place and make a left (if coming from Lindbergh), or a right (if coming from Howdershell).